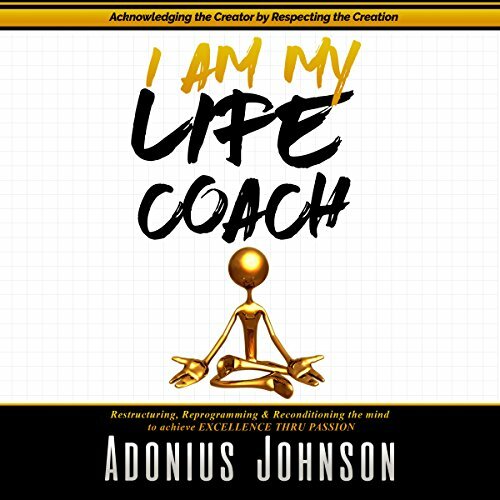 Showing results by author "Adonius D. Johnson"
I Am my Life Coach by Adonius Johnson is a nonfiction book to guide listeners through life lessons to eliminate negative thinking and behaviors, and to replace them with positive practices for listeners' physical, mental, and spiritual lives. This easy-to-hear book is uplifting and encouraging, painting a picture of victory through positive energy on the road to fulfillment and success. Listeners are taught principles of gratitude, overcoming fear, and the importance of learning from mistakes and never giving up. Later in the book, techniques for keeping your body healthy, using money responsibly, and improving relationships help listeners act out the teaching in their own lives.